Boy oh boy, did FromSoftware treat us with some great boss fights in the latest Dark Souls 3 DLC. 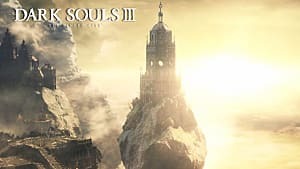 In a long-awaited callback to Demon's Souls, The Ringed City introduces a player-controlled boss called the Spear of the Church. Yes, you read that right. Finally, you can turn the tables around and crush the poor Champions of Ash as they ram their heads against your fog gate desperately trying to clear content. So how does it all work? And more importantly, where do you sign up to become a boss? Well, there's actually a lot to it, so we'll break everything down step by step. The fight starts with nothing but a giant in the room. This guy summons the boss after a rather lengthy slice of dialogue. 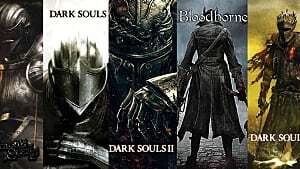 It's recommended that you kill the giant before his dialogue finishes and the next phase of the fight begins, lest you get stuck dealing with multiple opponents. The first thing that spawns is a regular painting guardian enemy with a rather sizable health pool. If you don't kill them before getting invaded, they can heal the boss with miracles. Shortly after the painting guardian spawns in, the Spear of the Church invades. Unless there's no one online in your level range with the covenant equipped, this enemy is controlled by another player. 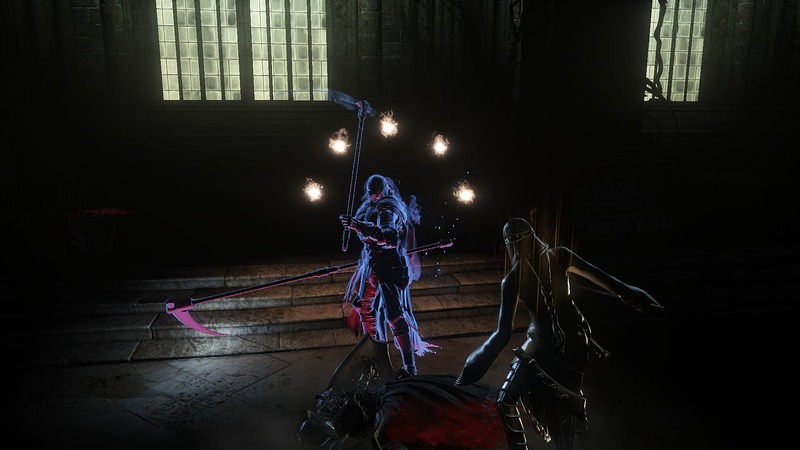 However, unlike regular invasions, the player-boss has some extra defenses and skills that help give it an edge. The Spear of the Church spawns in with a dangerous spike attack and homing lightning missiles hovering over their head. 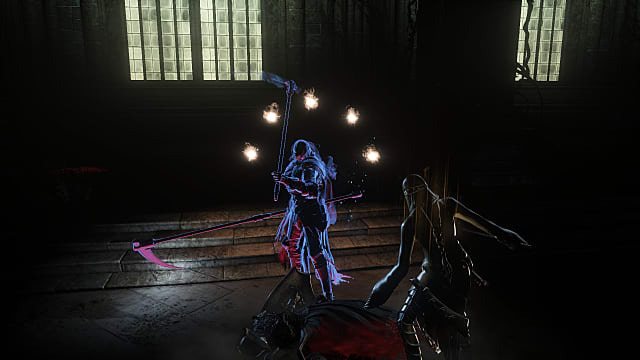 The homing lightning missiles respawn on a cooldown, and they can use the spike attack on command with the Ritual Spear Fragment and Divine Spear Fragment. Also, the number of co-op partners you have will influence their defense, just like any other boss. Aside from that, though, it's just like fighting off a regular invader. 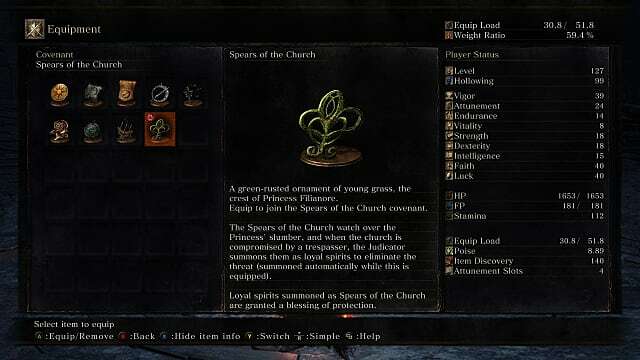 The person playing as the Spear of the Church cannot use Estus Flasks, but they do have 3 Ashen Estus at their disposal and can use things like regeneration spells, healing miracles, and even Tears of Denial. A second painting guardian spawns around the time the Spear of the Church hits 60% health. It's a good idea to just ignore this one and put pressure on the boss. If the boss can't stand still, they can't benefit from the guardian's heal spell. Focusing on the guardians just gives the boss too many opportunities to punish you for diverting your attention. 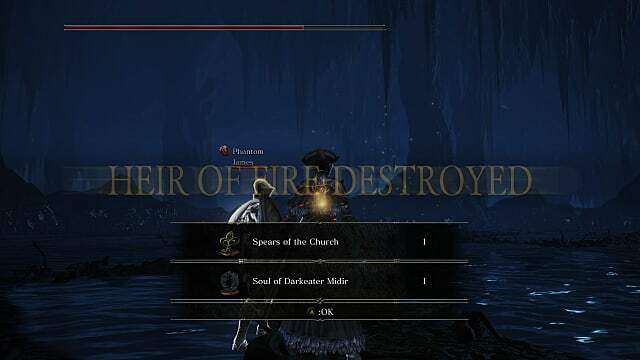 While you won't earn a boss soul from winning this fight, you will net yourself one of Filianore's Spear Ornaments, which are used to rank up in the Spears of the Church covenant. 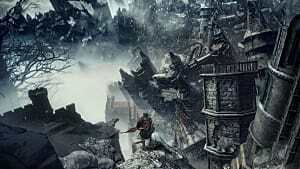 The Divine Spear Monument that you offer the covenant item to is actually just outside the boss room, next to the ringed knight wielding dual greatswords. But how do you join the covenant? That's an excellent question -- though I don't think you'll enjoy the answer. 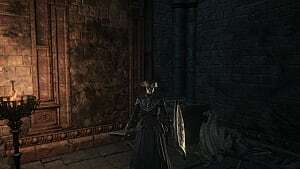 That's right, you must beat Dark Souls 3's latest and greatest damage sponge if you hope to join the Spears of the Church covenant. 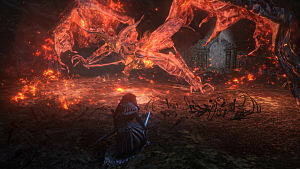 I'm sure many already classify Darkeater Midir as the hardest boss of the DLC thanks to a healthy mix of ridiculously high health, frighteningly strong attacks, and a gargantuan frame that the camera loves to hate. 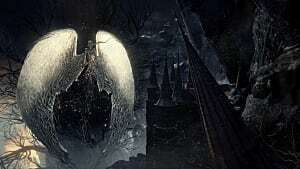 Before we can work out how to beat him, however, it first helps to know where to find Darkeater Midir. From the Ringed Inner Wall bonfire, head left through the shortcut door and down the elevator. Jump off in the opening to your left about midway down the elevator shaft. Hang another left here into a circular room filled with statues, and whack the one without a sword to reveal a path leading straight to the boss. Now there's not a lot to say about this boss fight, since he doesn't really have a lot of tricks. This dragon mixes fire breath and dark lasers with tooth and claw to create some truly deadly combos. 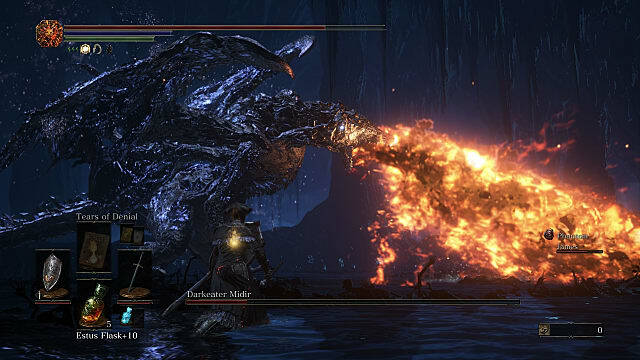 Darkeater Midir's moveset is well telegraphed and ultimately easy to react to. The only issue is positioning the camera so that you always know what's going on. If you have the chance, always attack the head. This fight goes far more smoothly when you learn how to predict where the head will end up after an attack. It may not be as safe as nipping at his hind legs, but you'll deal considerably more damage, which is essential for whittling away at his monstrous health pool. After hitting 50% health, Darkeater Midir shifts to phase 2 with a sizable blast of dark energy. With the phase shift, the boss learns a couple of new moves. In addition to the aforementioned area-of-effect attack, he can also summon dark homing missiles. He'll even get a little crazy with his dark laser, so be on your toes. If you manage to topple this gargantuan beast, you'll earn both the Soul of Darkeater Midir and the Spears of the Church covenant badge. Slap on this badge to be summoned into other players' worlds as a boss. Killing the host as the Spear of the Church nets you another Filianore's Spear Ornament. 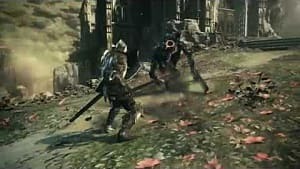 As Dark Souls 3's newest boss, you now have the solemn responsibility of crushing the poor saps who think they can just waltz through your fog gate for an easy kill.